Remember back when you were a teenager in high school tripping out on acid in the back of science class in the late seventies? No, me neither but it surely was an era of enlightenment as as recounted in stories of yore by cool older brothers. 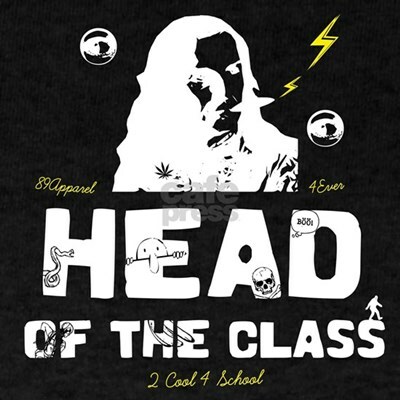 Head of the Class is a 70s and 80s head-shop classic for jokers, smokers and midnight tokers and dedicated to that kid with a leather jacket and full mustache at age 16. Features a 2 cool 4 school banger dude smoking a fat one and tripping out on the floating acid eyes and the moving desktop graffiti.